The Cloudbric dashboard provides a view of what's happening on the client's Web site. Local Web hosting company Hetzner has collaborated with global security provider Cloudbric to bring its Web security services to SA. Headquartered in Seoul, South Korea, Cloudbric is a cloud-based security service that provides protection against Web site attacks and vulnerabilities. The company protects sites by using a Web application firewall and provides protection against site-level distributed denial-of-service attacks. It also provides tools aimed at blocking Internet Protocol (IP) addresses and IP ranges from which attacks emanate. Established in 1999, Hetzner is headquartered in Cape Town, with data centres in both Cape Town and Johannesburg. The company provides Web hosting infrastructure to local SMEs across sectors. It says it is the only hosting provider in Africa to host Cloudbric. "Web site security is a key concern to our customers," says Athena Turner, brand manager at Hetzner. "Data shows that the majority of Web attacks arise from the Web application layer and not the network application layer. The Cloudbric service utilises a logic-based detection engine, a technology that sets Cloudbric apart in the market by filtering malicious Web site traffic with precision, delivering a very low false-positive rate. "Cloudbric acts as a firewall to guard the Web site against hackers and also from suspicious and malicious Web site traffic. 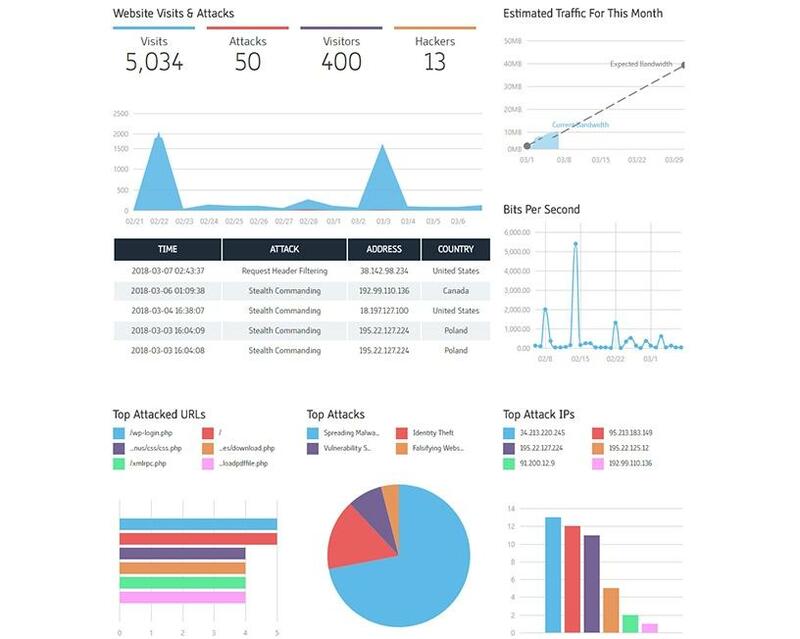 The Cloudbric dashboard allows users to perform certain tasks, like blocking visitors from specific countries, or IP addresses from accessing Web sites. It also keeps an active list of the exploitative attempts made by hackers and permanently blocks them." While Cloudbric does not fix weaknesses that may exist in the code, it does disable attempts to exploit the weaknesses, notes the company. Customers are still responsible for their Web site's security, but once Cloudbric is installed, they can manage it from the konsoleH dashboard, Hetzner's control panel. Hetzner's taskforce is located in its contact centre. The team of over 60 customer service consultants has a view of what's happening on the client's Web site through the dashboard and constantly interacts with them through phone calls and e-mails. According to SiteLock's Web Site Security Insider Q1 2018 research, small businesses are progressively becoming the favoured target of cyber criminals, and don't know they are being targeted or compromised. Approximately 6% of Web sites, up to 113 million Web sites globally, have a security vulnerability, says the study. Web site attacks increased 14% in Q1 2018 compared to Q4 2017, as cyber criminals set their sights on independent Web sites and small businesses, it adds. "The risk of hackers exploiting weak code on a Web site is a reality. While this risk never completely disappears, it is greatly reduced with Cloudbric. Hackers constantly seek new entry points to exploit Web sites. Similar to anti-virus applications, as these exploits are discovered, Cloudbric adds them to their list and permanently blocks them," concludes Turner.